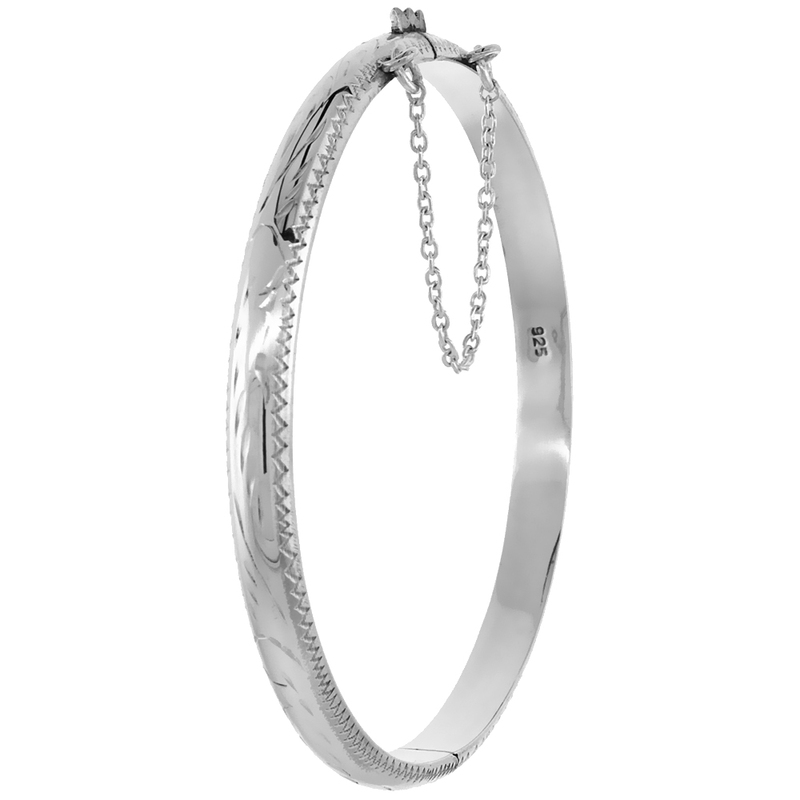 A Wonder and classic bangle bracelet is crafted from Sterling silver and it is beautifully engraved with Floral pattern. 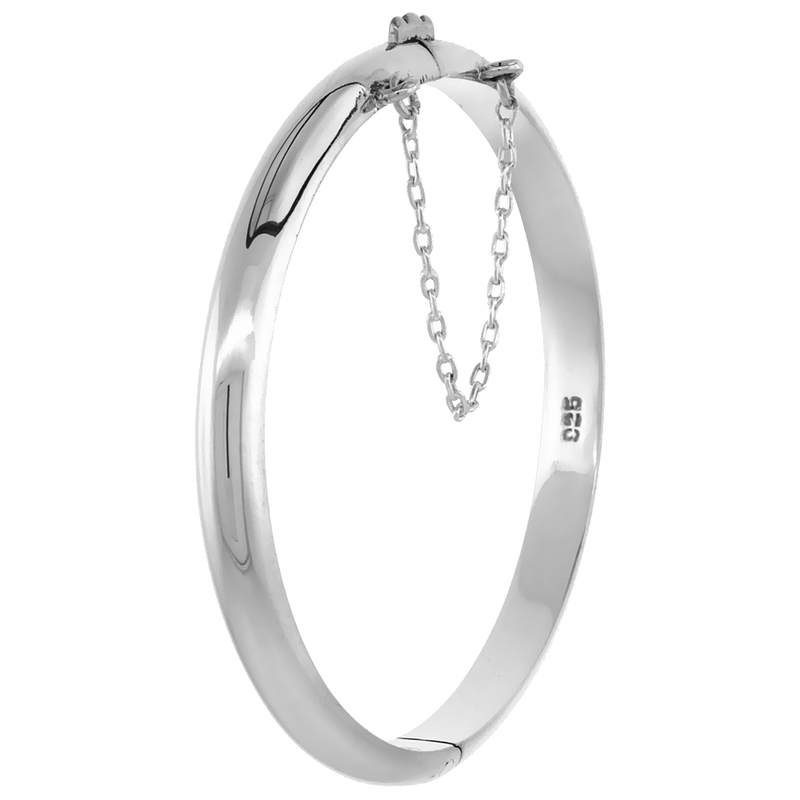 It has a push-button-clasp or deployment clasp and safety chain for an extra secure lock. 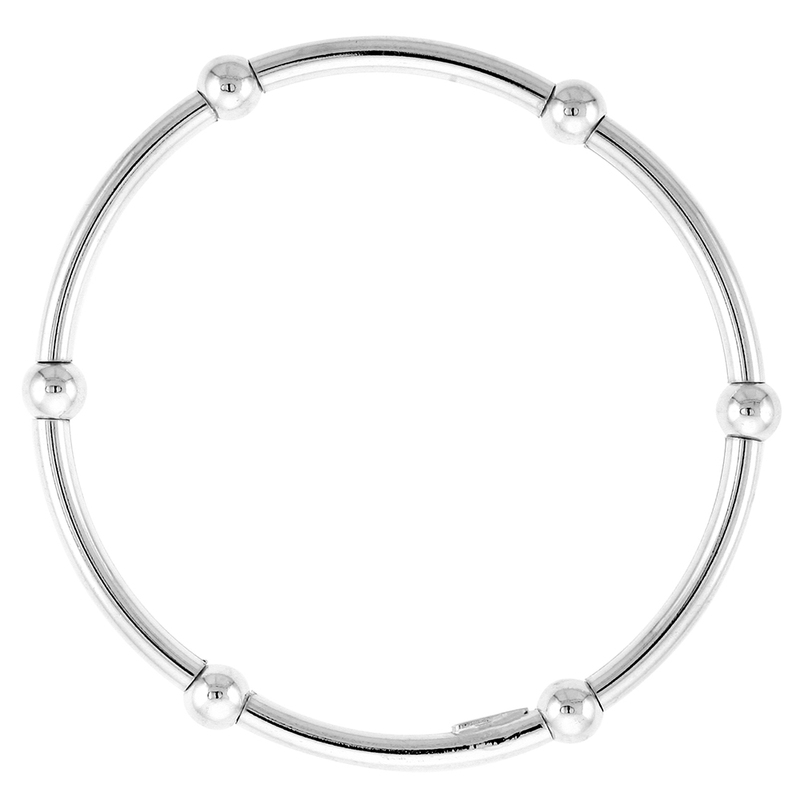 We also have highly polished stretch bangles for kids having 6 sections with one bead in each section. 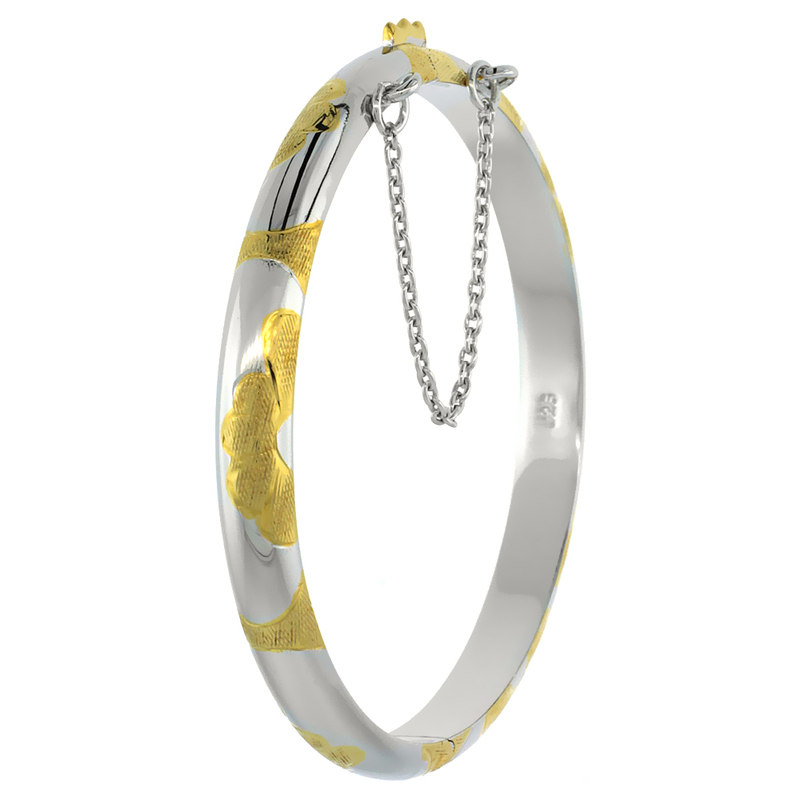 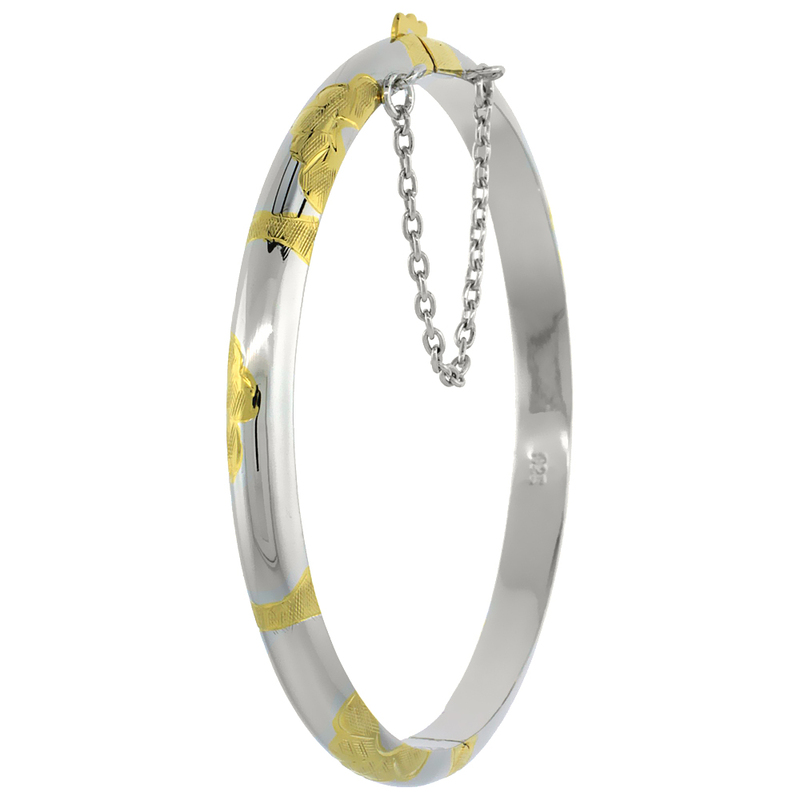 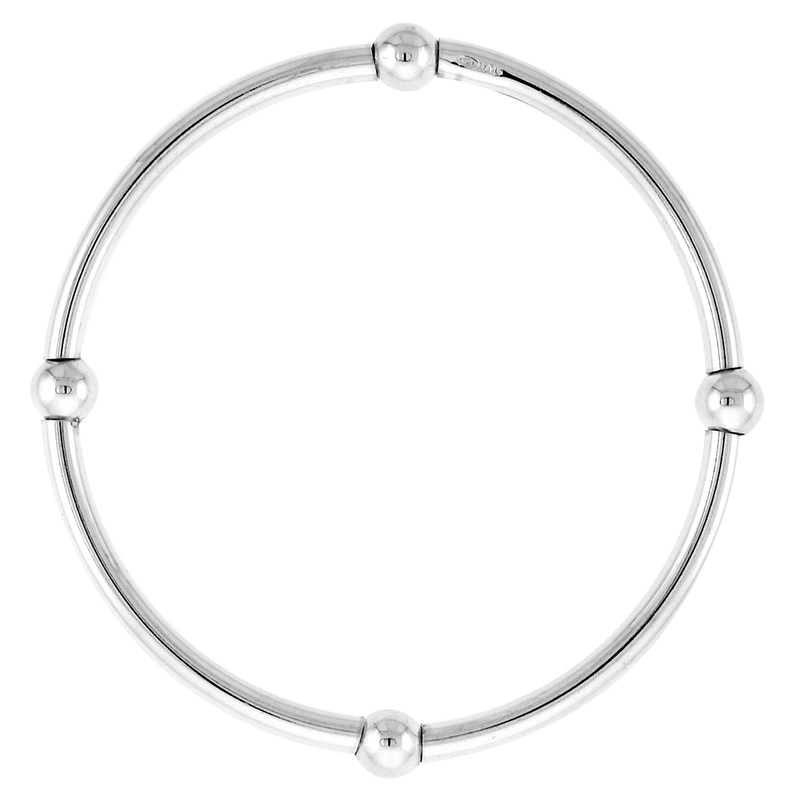 Your little one will look adorable wearing this pretty, shiny bangle bracelet. 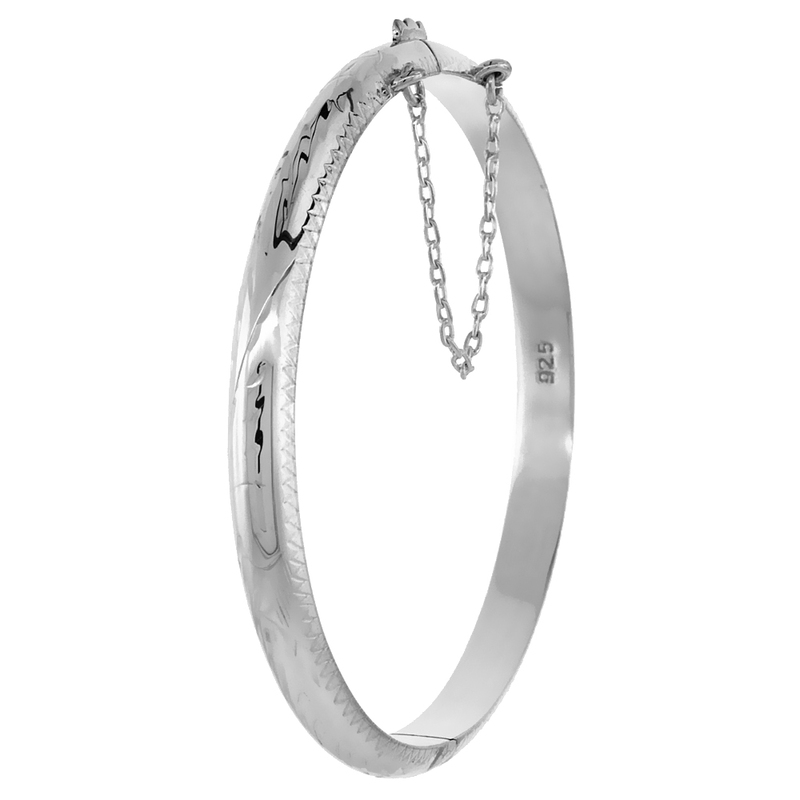 Our Italian Cuff Baby Bangle Bracelet with quality bead makes a fantastic and charismatic addition to your kid’s jewelry collections. 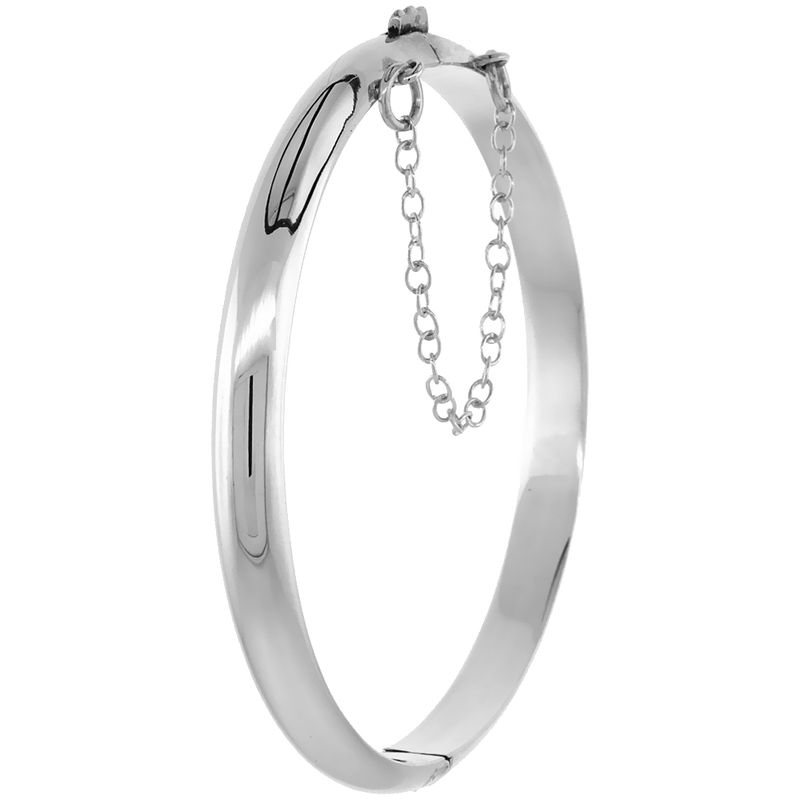 It fits most 4 inch wrists. 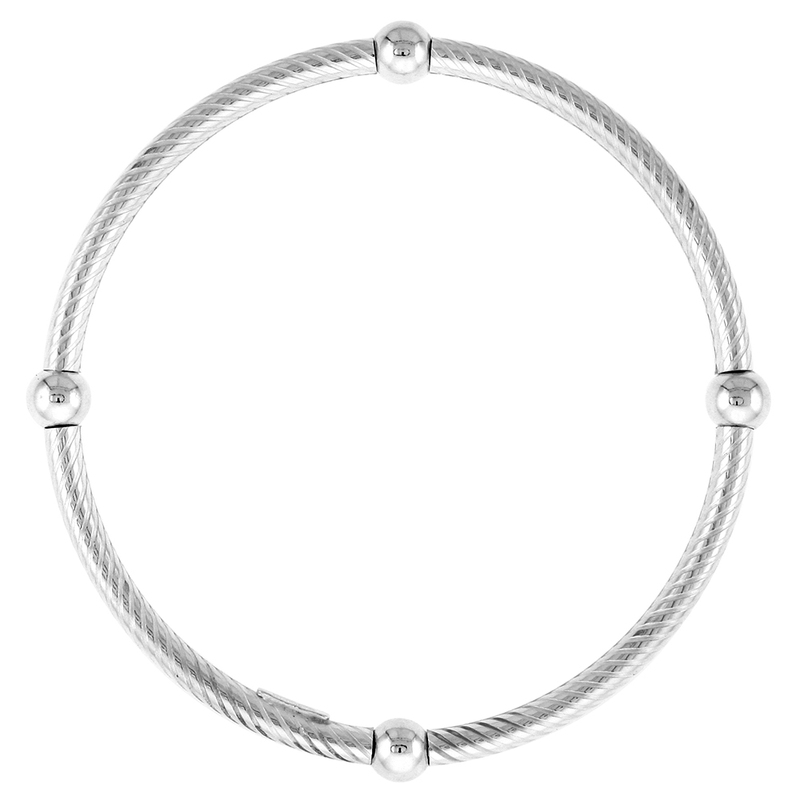 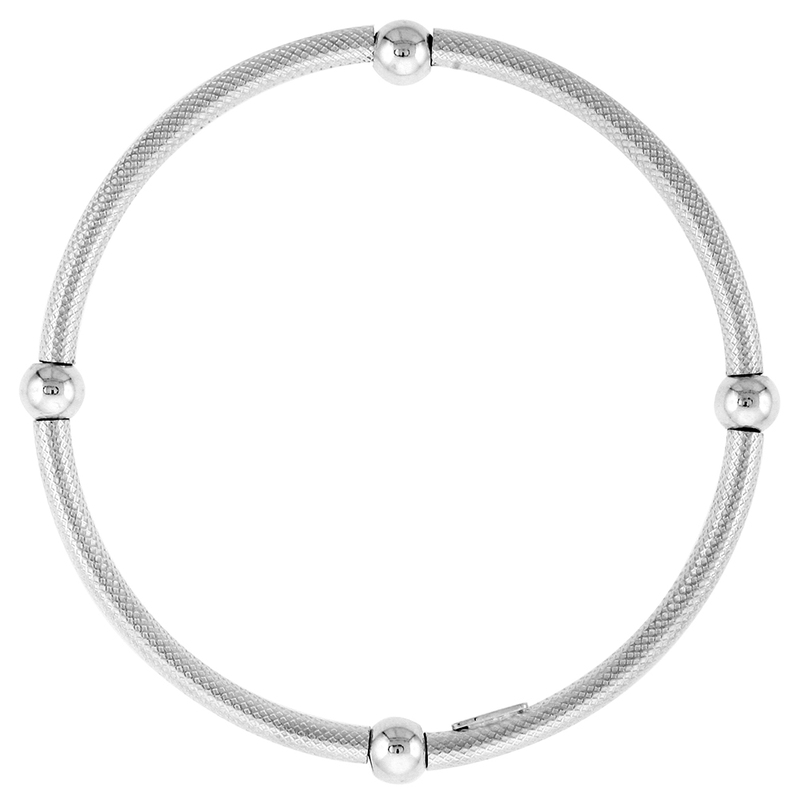 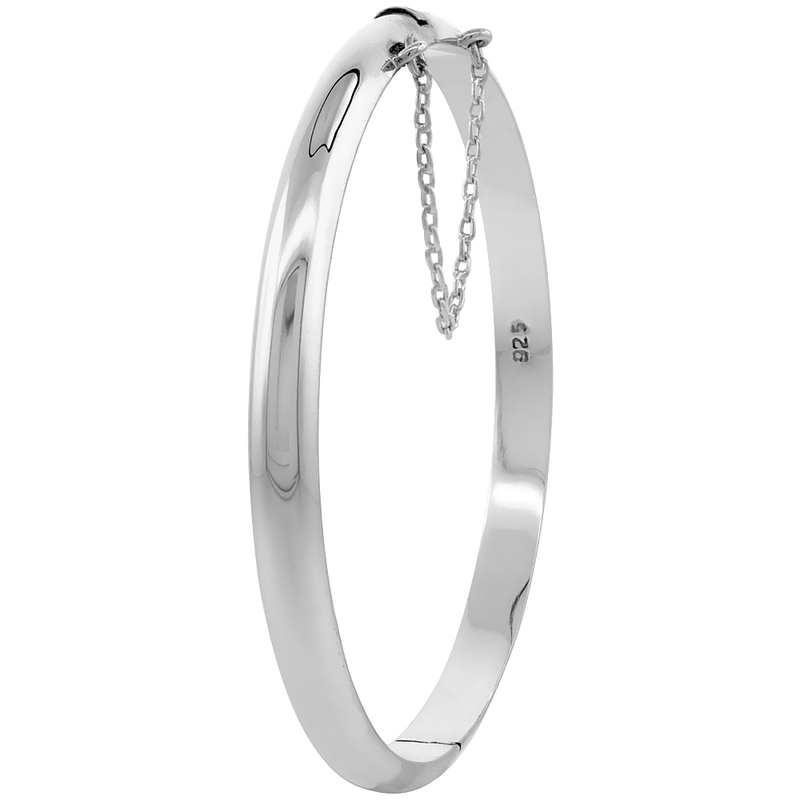 Find the best selection of Wholesale Sterling silver Bangle bracelets for children and baby in Silvercityla at a very low price.